I recently went on an amazing 10 day trip to Iceland and already wish I could go back. I can’t get the gorgeous yet bizarre landscapes and experiences of exploring this place out of my mind. The time we had there flew by and as I was thinking of what I would do when I go back, I realized there are some places I would definitely go to again and spend more quality time and others I would be okay missing (you know, if I had to). 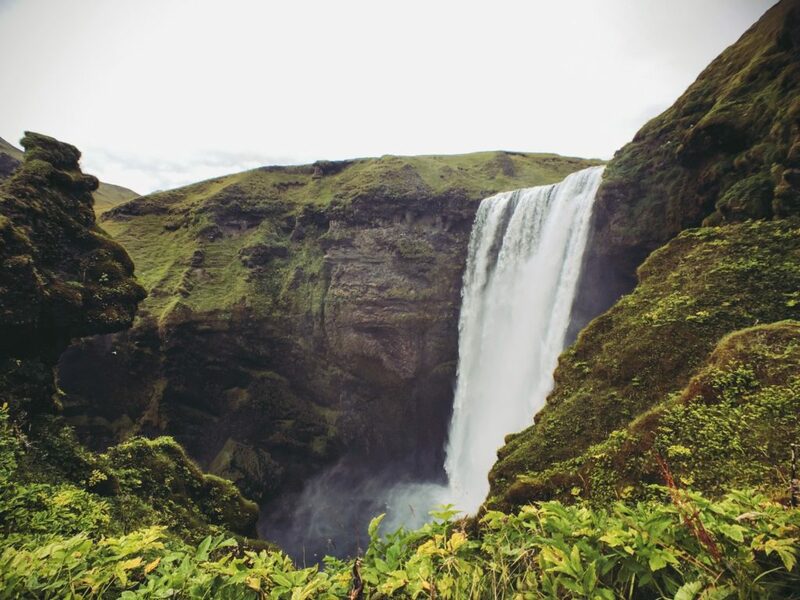 So, if you’re headed to Iceland these are the spots I would absolutely make sure you go. 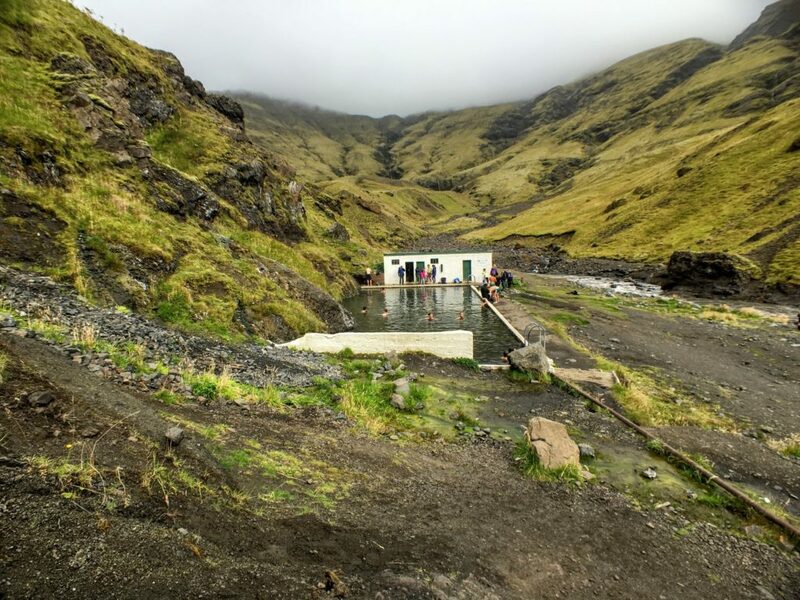 This is one of the oldest pools in Iceland, built in 1923 in order to teach locals swimming lessons. Not only is it just pretty cool to see this place but the location is what makes it incredible. 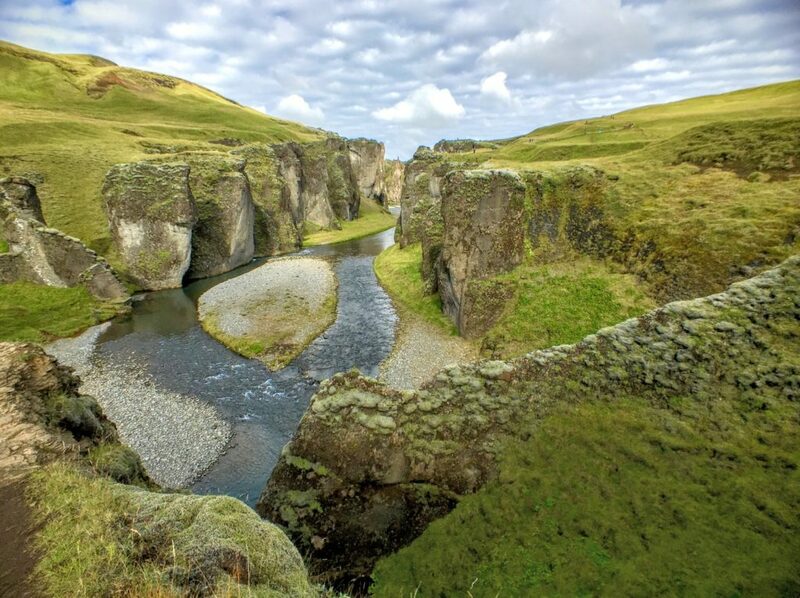 It’s nestled in a narrow valley close to volcano/glacier, Eyjafjallajökull. You take a 10 minute walk on a trail when it then opens up to this hidden gem. The surroundings are just gorgeous. This is a large glacial lake where you’ll see HUGE blocks of ice that have broken off from the glacier floating on the lagoon and most likely some seals playing around them as well. If you go right across from there to the ocean side, you’ll see some of the glacier ice chunks that have been taken out to sea then pushed back onto the black sand beach at high tide. It’s a pretty cool sight to see the juxtaposition of the blue-ish white of the ice against the black sand. This is an absolutely beautiful area. There’s a river flowing through this massive canyon and hours of hiking that can be done all around here. This was one of our absolute favorite places because of the crazy landscapes. It’s a geothermal area and the lake itself was created by a volcanic eruption 2300 years ago. How crazy is that!? 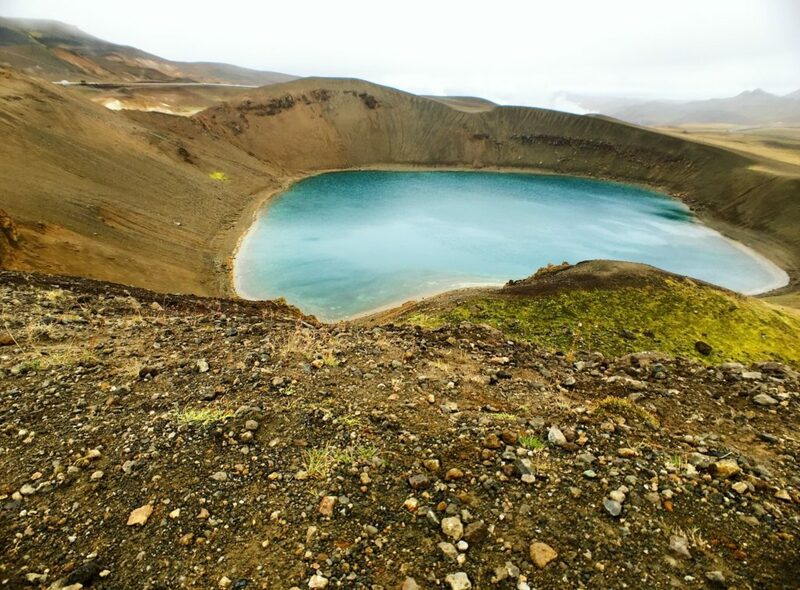 The surrounding area has volcanic landforms everywhere and you can even see groups of small craters that form some of the islands in the lake. Namafjall– geothermal field where you’ll see boiling mud pots, craters, and fumaroles (an opening near a volcano where hot sulfurous gases escape). This area is quite smelly due to the sulfur but worth holding your nose to check this place out. 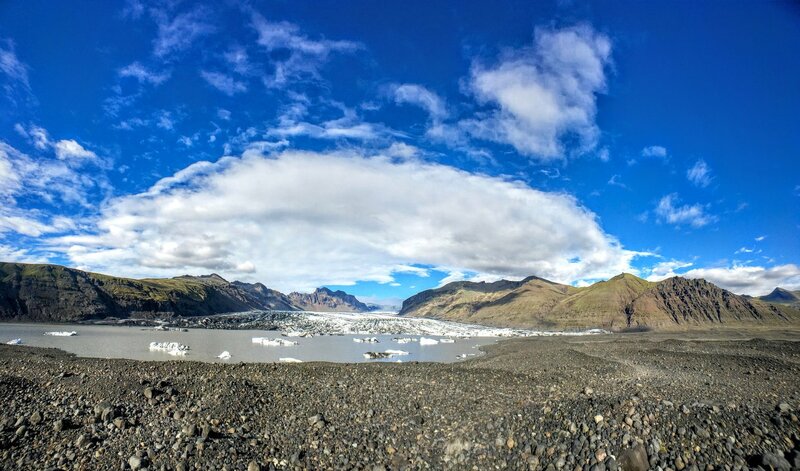 This glacier is part of the Skaftafell National Park where there’s so much to see including glacier hiking tours. You can take a short trail walk from the visitor center to the very edge of this massive (complete understatement) glacier. The trail ends at a pool formed from glacial melt water. I highly recommend going off the beaten path to touch the freezing cold water and just walk around on the black rocky gravel/sand. You can get a much better visual and appreciation of the deep crevasses in the glacier. 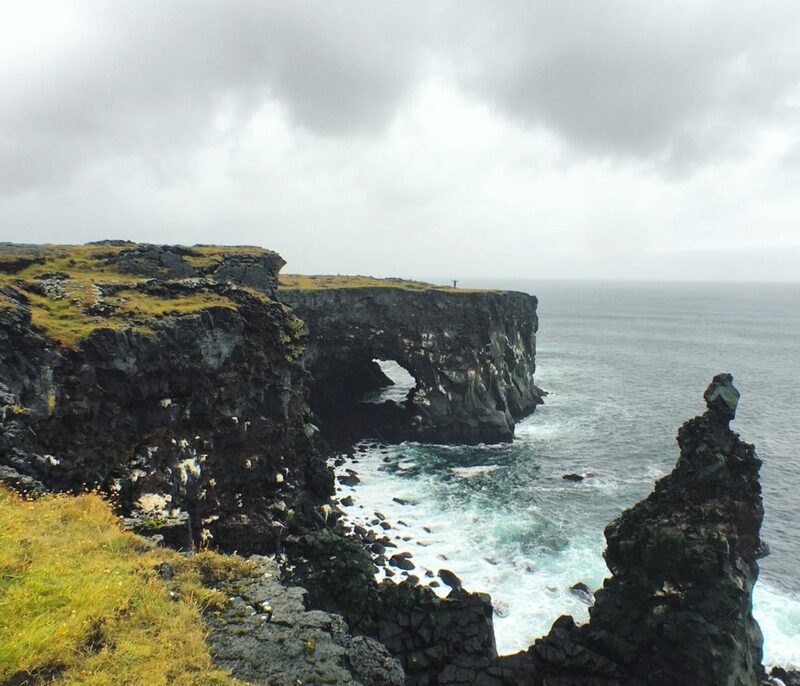 You can drive around this diverse area and will see so much – jagged moss covered lava fields, beautiful rock formations and insane cliffs lining the coast, small towns of Arnastapi and Hellnar, volcanoes, waterfalls, caves, and so much more. There are plenty of signs around the area saying what sights are nearby for you to see. Stop at them all! To get an idea of perspective, that tiny dot on the cliff farthest back is husband with his arms spread wide. This is a very lively fountain geyser that erupts every 8-10 minutes. It’s an impressive sight to see the water bubbling, gain energy, then erupt up to 40 meters (131 feet) in the air! The water returns to the hot spring and it does it all over again. It was quite mesmerizing and I could sit there and watch the same routine for hours gasping in awe each time it blew. Earlier this evening we were watching this geyser erupt several times. So cool! 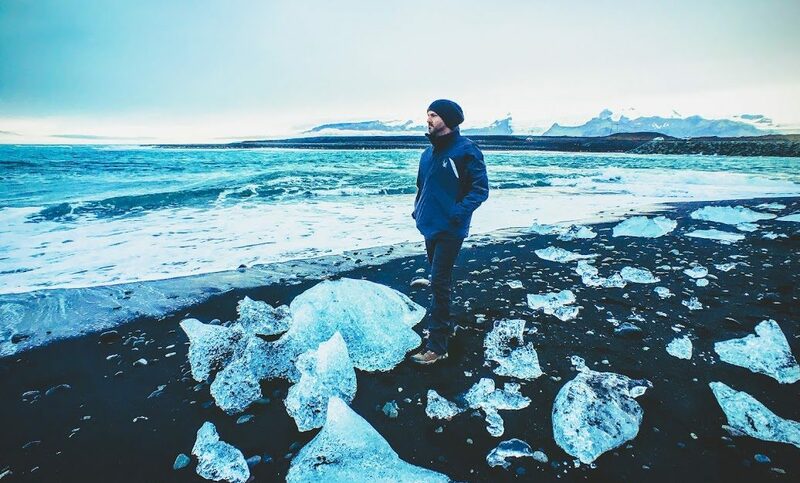 Overall if you’re in Iceland, you’re going to have an incredible time. Just make sure you go at the right time of year for the activities you’re hoping to do and enjoy the drive! 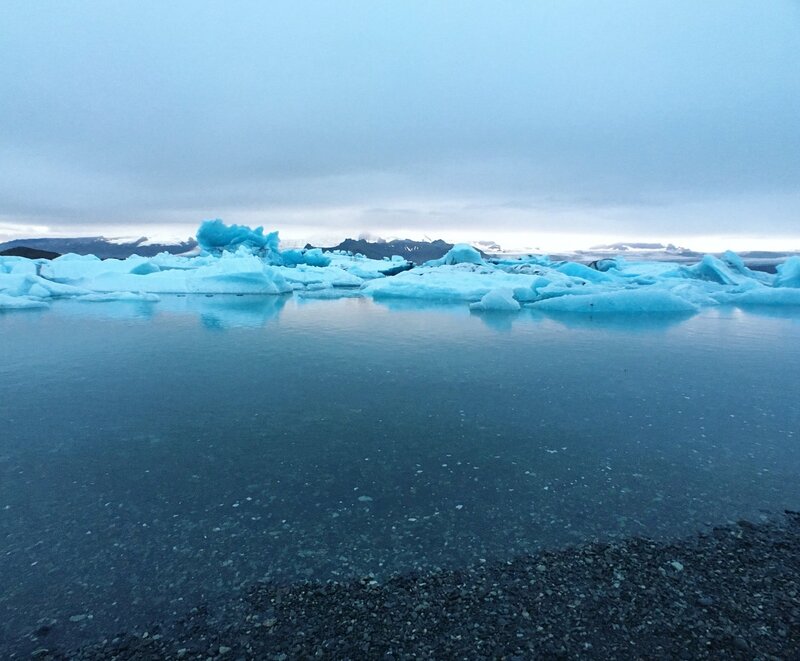 If you want to see more photos from our trip around Iceland, GO HERE.